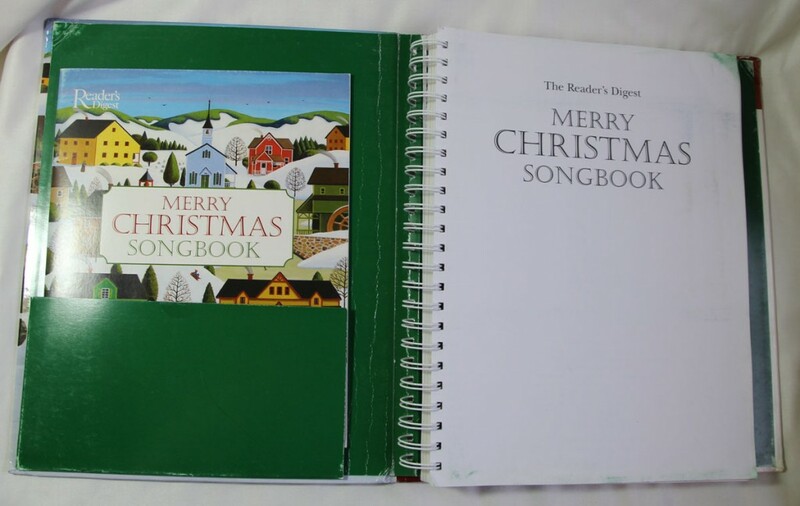 The Reader’s Digest Merry Christmas Songbook is highly sought after because it’s a great compilation of Christmas tunes. 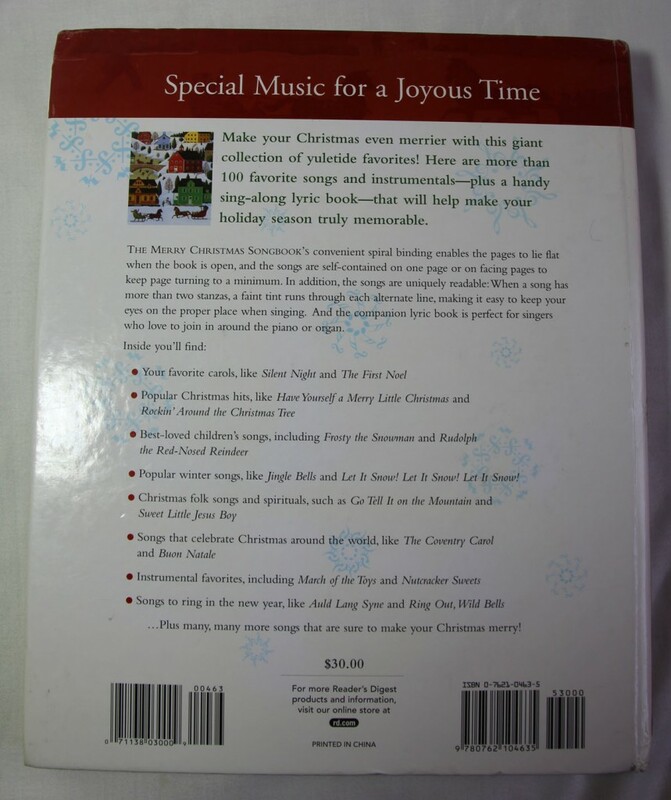 It’s a great choice for singers and piano or organ players. This book is out of print, so many of the available copies for sale are used. This is fine, as buying used can also save you a lot of money, but here’s a tip. 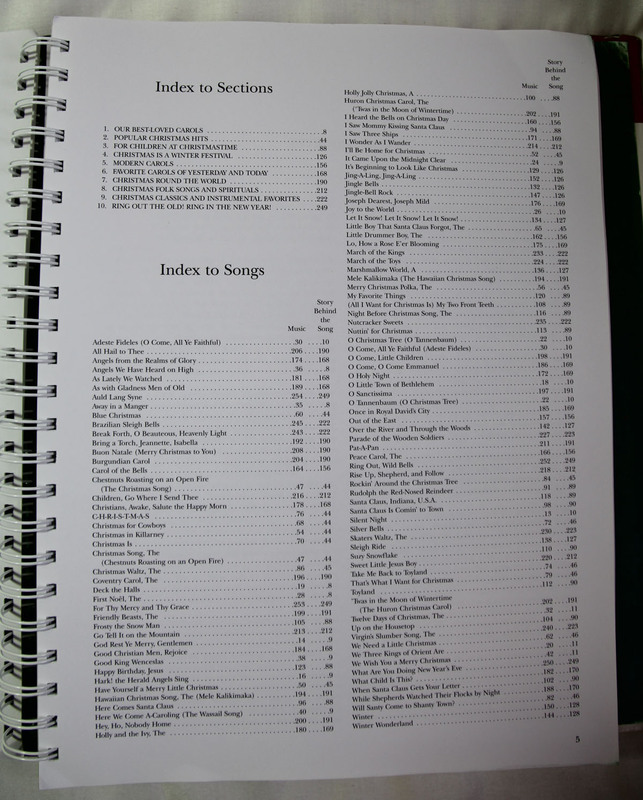 This book originally was published with a lyrics booklet that was laid inside the front cover pocket. Some used copies might not include the lyrics booklet, so you may want to check with the seller before purchasing if that’s important to you. 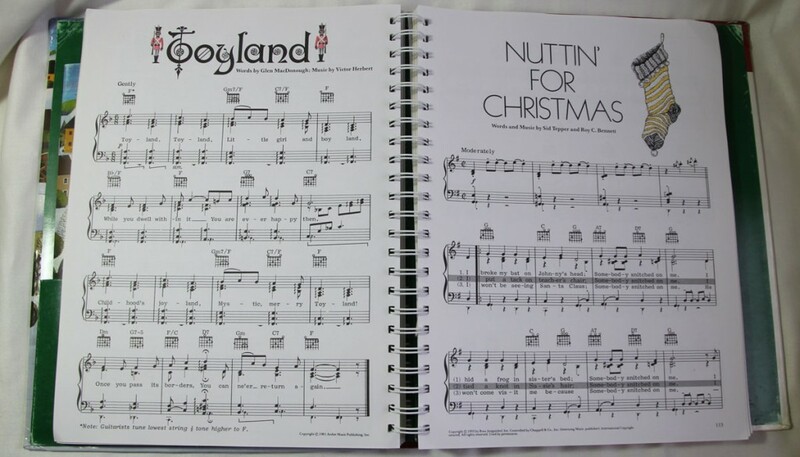 The lyrics booklet is helpful when you have lots of singers and everyone can’t see the songbook well. And here’s a photo of some sample pages. As you can see, it also has guitar chords. You can buy it on ebay here. The photos pictured above are all of the 2003 edition. However, there are also editions from 1981 and 2000. Click here to compare prices and content for all editions.